I haven't mentioned this, because we have been rather busy in the interim, but several weeks ago, one of my adult children, who works for a technology company, was laid off. It's always tough to deal with a job lay off and all the implications of such. The subject employer is restructuring their large technology department and many people who made high salaries there will be out of a job. This will be true across the country for employees and managers of this particular company. When I was young, we were taught that we could make ourselves virtually lay off proof. Being a valued employee, taking all the certifications and courses offered or possible through an employer, and doing a really good job with whatever the undertaking were just a few of those strategies. However, there is no such thing now. Perhaps, rather than making ourselves lay off proof, it probably makes sense to follow some of the strategies that maximize our marketability to other companies. Perhaps, gathering the ability and flexibility to shift gears rapidly is the skill for which we should be working. 1. NEVER live within your means, ALWAYS live below it. Always save as much money as you can for rainy days. Where you should put your money can and does change, but that you should save does not. Pay yourself first, preferably directly from the paycheck if possible. Then live on what is left. Adjust this sum regularly, as needed. 2. Always keep an updated resume. My kids have ten different versions of current updated resumes. They do this because one focuses on one aspect of their education and training, and another focuses on others. My eldest son, for example, doesn't include much detail on his resume concerning his sculpture degree, when applying for a technology job. However, when applying for a fabrication job, he might go into some detail regarding his welding experience. My nursing resume wouldn't have too much detail on my writing, although it is mentioned. 3. Keep a hard copy manila file of names and addresses of companies to which you would apply if your job today went South. When there is a sudden layoff, it can be hard to recall the possibilities if you don't have the prework already done. If you know the names and contacts of manager and human resources workers, that might help too. 4. Whenever you can, gather the names, addresses, e-mails and phone numbers of the people with whom you work and the managers and bosses that you believe would give you an excellent reference. Jobs and companies change so quickly now that it can be very hard to verify your employment somewhere. There is absolutely no one left at Lockheed who was there when I was an industrial nurse. 5. When people leave your present employer, stay in touch with them through Linkedin or via phone etc. Many times, someone who has left your prior employer has gone to a company that may well be able to hire you too. Sometimes an encouraging word to a prospective employer from a new employee, is all it takes to get you hired too. 6. This should go without saying but always treat everyone well. Student nurses who once did clinical under me have later finished advanced degrees and have been my boss in future years. My treating everyone well is why people know me to have integrity and why it has been rare that I have been treated badly in the workplace. The other way of looking at this is that the people you treat well on the way up will be there for you on the way down. 7. Network not because you share the same profession, but because you are a human being genuinely interested in the people with whom you have worked. Spontaneously networking doesn't work well. Networking in the long term does. 8. Always keep a 3-6 month emergency cash cushion at the place of your choosing. In Mr. Obama's "improving economy" it can take six months and an awful lot of resumes sent out in order to translate into an actual job offer. That new job may not offer the salary to which you were accustomed. 9. If you are married, and you can, if both of you work, try to save the equivalent of one salary after taxes. 10. In the good times, try not to invest in really expensive cars that cost a great deal to maintain. Always research the cost of car parts and routine maintenance of the car before buying it. I think a BMW is a lot of fun to drive, but I don't like paying for even the oil and air filters on such an expensive car, and I'm not even going to start talking about Mercedes Benz, a Jag, or a Bentley ! During a job loss a car whose parts can be found at the local Advance Auto will be a great blessing. 11. When you do buy a home, and chances are you will, buy a basic home in a decent area that will be a home for all seasons. A McMansion might suit you as a young executive, but it won't suit you during hard times, and its maintenance and retrofits may be expensive. A cathedral ceiling could make the home hard to heat and cool. Consider a home with a bathroom on the main floor in the event that you or someone else breaks a leg and can't navigate stairs for a time. Homes with a full bath and a bedroom on the first floor also make it possible for you and your spouse to "age in place" if you wish. Since we can't possibly anticipate everything, life becomes about maximizing our choices in the future. 12. Long term supplies of emergency food is not just for tornadoes, floods, civil unrest, etc. Sometimes, especially after a job loss, we need the cash we have to pay the mortgage or to make hard copy resumes, our friends might take to work with them. I know several families who ate out of their emergency pantry while their family was out of work. It was the first thing they began to restock, once they were employed once again. Food banks are wonderful, but many of them are stretched beyond capacity, as people like me who used to give regularly to them, can no longer afford to. My eldest child was able to find another job within the same company. Of course, no job is guaranteed, and anything can happen. Entire departments implode sometimes. Best wishes to you and your employment, wherever you are. According to the New York Post. president Barack Hussein Obama has instructed his minions to create a vast database of detailed personal information on all Americans with particular interest in their race and ethnicity. 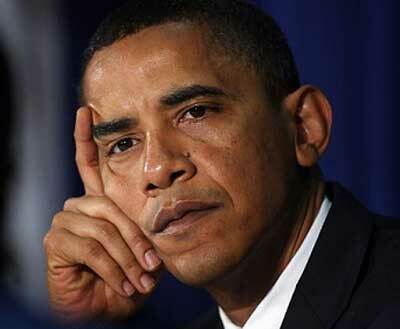 Mr. Obama seems to believe that the expensive collection of information on banking, mortgages, ethnicity, neighborhoods, employers, healthcare, education, and how your children are disciplined in school, when married up to data concerning race will underscore a pervasive picture of US institutional racism. It has been theorized that afterward an internet framework will exist allowing a legal basis for attornies to begin to hammer for reparations to African Americans. Here in Virginia the last person to collect detailed racial data for a specific agenda, and to house birth certificates of the races separately was a physician and eugenicist Dr Walter Ashby. Plecker. Plecker held the role of physician and head of Vital Records in Virginia from 1912 to 1946 He kept records with the agenda of proving that non whites were inferior and he helped to criminalize the marriages of anyone who was not 100% white. Those with "one drop of black or Indian blood" were forever classified as non-whites and were only permitted to marry someone "just like them" so that "inferior blood and breeding would be prevented from spreading." His work is broadly regarded to be quite evil today. The last person who kept such detailed data on human beings without their knowledge was Hitler. For a moment, let me digress. My ancestors never kept slaves. On my father's side, they left Scotland for England and when work was thin, my ancestor John Easson, a master builder, became an indentured servant to the King of England as one of the first European settlements on Nova Scotia. If I recall correctly, in the 1730s, after four years of indentured servitude to the project for the King, my ancestor was to have received forty acres via land grant and then be free to start his own business. Sadly, things did not go well with the original settlement of Nova Scotia, and my great great great etc. grandfather remained an indentured servant quite a few more years than he originally intended. The family had not recovered by the following generation. Things were so tough that one of his sons spent some time in the Poor House in Annapolis Royal. There is no doubt that my ancestors, who were lilly white, by the way, were treated as slaves and that the deals they were given were broadly unfair and favored the king. This was true of many people of the era. We all worked like dogs and many of us died early. What am I to do ? Shall I petition Queen Elizabeth for at least one of the bracelets from the crown jewels as restitution for the behavior of her ancestor the king ? Of course not, because that would be ridiculous. Queen Elizabeth can't be held responsible for the actions of her ancestor, just as I can't claim the laurels for the achievements of my own ancestors. Arguments concerning restitution are equally as tenuous. On the other side of my family, my ancestors were Mayflower travelers who ultimately moved across the country settled in California as ranchers. They also did not keep slaves. They did employ some Chinese workers and they and their children worked right beside them because to do anything else would not have ensured anyone's survival in such a barren and difficult land. In fact, in my ancestry, there are also American Indian ancestors and a solitary Chinese woman. I am fortunate in that I have grown up knowing a great deal about my ancestry, and also knowing that my successes and my failures are my own. My successes have been achieved by the grace of God and by hard work. Almost everyone knows poverty at some time. Everyone has it tough at one time or another, and life is never fair. I grew up, as did most of the people with whom I went to school, believing that God created all of the races and that God loves us all. No race is superior to another. I have friends of different races and ethnicities. I don't like everyone, just as I don't profess to like everyone who is white ! Nice people come in all colors. The establishment of a database with racial information such as the New York Post says exists is proof of a couple of very concerning things. One, it shows that Barack Hussein Obama is not thinking about the repair and rehabilitation of our crashing economy or about jobs for all races, colors, sexes, and creeds. Prior to his presidency, there was not racial perfection in the US, but as each generation of young people move through schools which are more or less racially integrated and more and more African Americans attain university educations and professional positions, the segregation of the races seemed more and more ridiculous. Mr. Obama has done more to derail racial integration and to underscore racial slights that may have been imaginary, than anyone. A racial database makes it seem as if Obama's entire presidency was about revenge against caucasians for slights real or imagined. At the very least, Obama's edict for the creation of such a database places him squarely in the category with Plecker, and at worst, may place him in a category with Hitler. What is next Mr. Obama ? Will we seize the assets of caucasians or simply sterilize them ? This needs to be an immediate focus of Congress and of the American people. Your private identifying information is your own. It should not belong to any government, particularly to an administration which has continually proven its general ineptitude if not outright dishonesty. Yesterday, a devout Muslim young man used a rifle to kill four marines at a military recruiting office in Chattanooga, Tennessee. In the US, even soldiers are not permitted to bring weapons to work, when work is a facility, even rented by the federal government. The devout Muslim young man actually attacked two facilities yesterday, but was killed by police before he was able to take additional lives. There are other individuals this man injured and at least one of their lives still hangs in the balance. Because they were not permitted to be armed while at work, the soldiers in the recruiting station were sitting ducks. 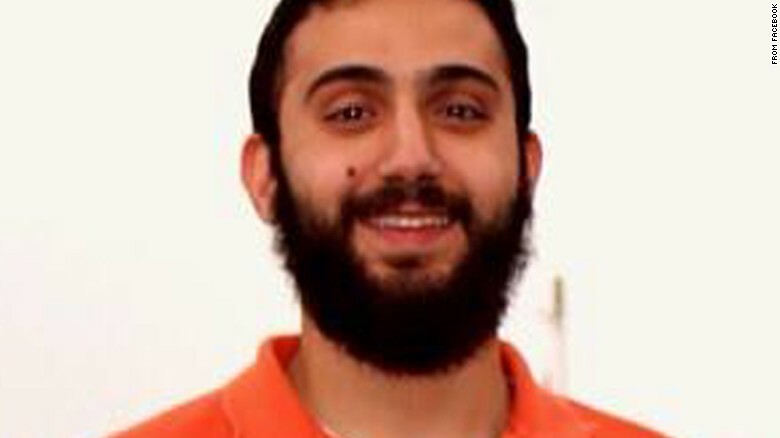 The shooter is said to be a very pious Muslim young man who was raised in Tennessee. I will not dignify him or his actions by even stating his name. He was born in Kuwait, had Jordanian citizenship and had been a naturalized American citizen. He held an electrical engineering degree from a Tennessee university. He was given all the opportunities we have available here. He is said to have belonged to a good family who are "good people". Classmates in high school remembered him to be "very bright". He squandered all the chances given to him by this nation, and he squandered his own life as well, and dishonored his family here. A few weeks ago I posted an entry where I explained that ISIS had hacked US military information and was publishing the names of military officers and their families. They actually created a "Hit List/Wish List" just in the event that anyone who was already in the US and wished to do them a favor would have a place to start. If I knew this, then the US military certainly did, as did the FBI. Were additional security measures taken in view of the ISIS hit list ? Doesn't an attack on a recruiting station does sound like a likely progression from such a list ? Will the federal government revisit their policy concerning no firearms in federal facilities, even in the hands of soldiers ? Americans are not at war with Muslims. However, radical Islamists have made it very clear that they are indeed at war with Americans and particularly with anyone who has ties to our military. They are determined to bring the war home to us, and to our doorsteps. Americans need to remain watchful. Anyone who is legally able to obtain a concealed weapons permit, should do so. A gun is not a charm, however. 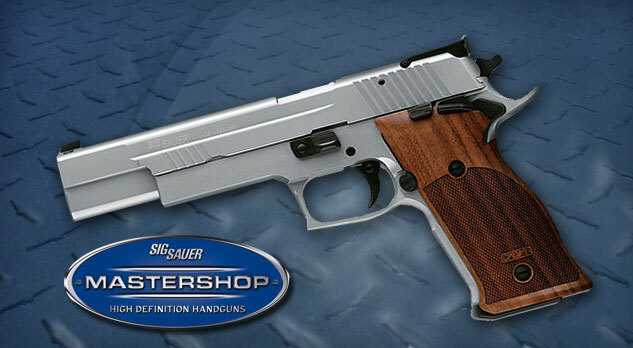 Simply owning one and carrying one does not protect you, in itself. In fact, owning one without proficiency may actually place you at more risk as the weapon can be taken from you and used on you and your family. A weapon is a serious responsibility. One must allocate time and money to practice regularly and to become safe and proficient. Once one is safe and proficient, then time and funds must still be allocated for practice ammo to retain that level of proficiency. Remember that in study after study, active shooters who encounter armed resistance tend to take their own lives, and this ends the incident. Perhaps we should all be ready to be that resistance to an armed shooter. When ISIS fighters realize that at every turn, their band of operatives will encounter competent armed resistance 24/7 perhaps attacks on the United States homeland will become less appealing. Some of our readers have been interested in preparedness for thirty years. A lot of new readers have been interested in learning about it for only a few months. It can be challenging to have something to say which is relevant to both groups, and those in between. Periodically, I think it is important to take a couple of weeks away from prepping entirely. It is important to actually live the life and the family you are protecting and not to lose sight of that. I usually do this when on vacation, but because vacations have become a rarity to so many of us, you may have to self impose a period of two weeks where you cease to prep. I call this process a prepping reboot Then, look at prepping with new eyes. I always break prepping down into two main categories, dealing with the issues that would necessitate sheltering in place, and then dealing with family evacuation (which might also trigger a farm evacuation as well.) However, my friends in Alaska need to prep differently than I. Our friends who headed to Belize also will need to plan differently than I. My friends in Ontario will also need to have different items and amounts than my family might. Following your break, evaluate once again what the most likely emergencies at your location may be. I might be looking hard at tornadoes, hurricanes and earthquakes, but some of my friends at 6,000 feet or greater, in Colorado for example, plan most heavily for ice storms and serious snow storms even as late as April. YOU are the expert of what is most likely to go wrong in your own geographic location. After you have dealt with the most likely natural disasters in your location, and made specific plans for these, then give some thought to the less likely varieties. In my highly rural location, a spilled hazardous truck is not likely unless the truck decided to take an illegal shortcut through the country. However, that could happen. So, look at your second string of man-made potential emergencies, and plan for those as well. Again, many emergencies neatly fall either into the sheltering in place category or the family evacuation plan. When you have considered the first two categories, then consider the financials. 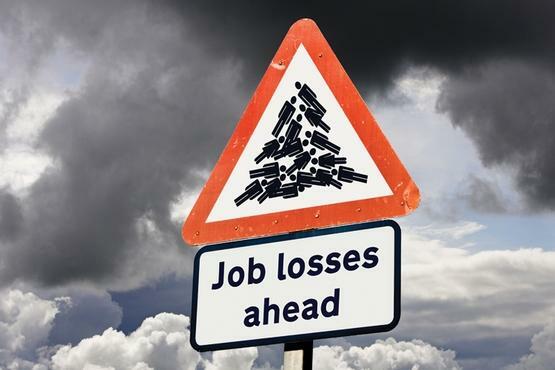 How prepared are you for job loss or some type of financial collapse ? This can be the most difficult for families to consider. Still, any amount of preparation is better than no advance thought or preparation whatsoever. Minimizing debt is probably one of the most valuable financial disaster tools at our disposal. Living a life in which you earn two incomes but require only one of them is also another useful modality. Many people tell me they "can't afford to prep". The people who need to make advance preparations the most are people who are short of money. Wealthy people could conceivably take a large amount of cash and simply head out, but if this is not an option for you, then you need to have made plans even more urgently. Fortunately, this need not be expensive. 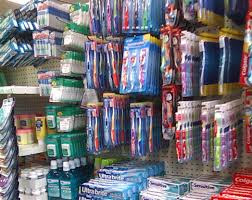 The first place a family new to preparations should go is the Dollar Tree or similar establishment. In putting together a first aid kit, many things are available there. These could be bought and stored over several weeks. These are some of the things available at the Dollar Tree. Diphenhydramine tablets, capsules, or liquid for children. Varietal vitamins including high potency prenatal varieties. There are a lot of fine values in toiletries in the Dollar Tree. Of course, read the packages. I always prefer items which are manufactured in the USA or Canada, and many of them are now. 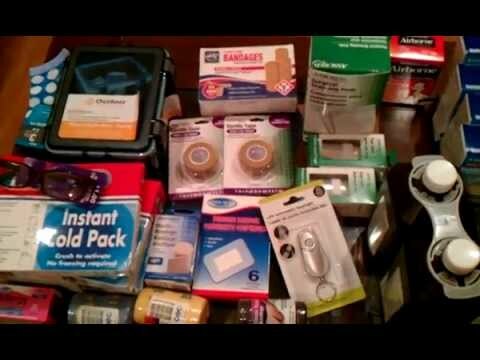 Of course, you can buy larger amounts of these for just a little more money somewhere like Wal-Mart, however if you need to amass a kit fairly quickly, then Dollar Tree can provide a nice start, especially for an evacuation kit. Check your kits regularly as everything does expire eventually. Also, keep your medical items secure from small children and grandchildren. Isopropyl alcohol and vitamins should never be within reach of small children. 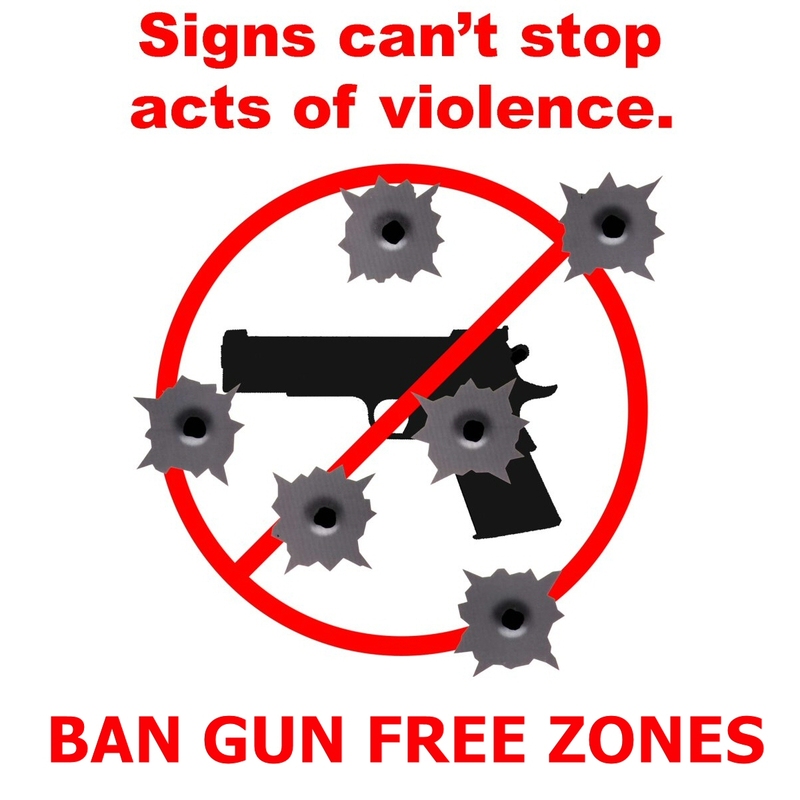 A Friends Thoughts on "Gun Free Zones"
I have many friends who are writers, but few of them write as well or as clearly as this one. The post below is a friend of mine who simply crystallizes thought more clearly than I, on this, and on a number of other subjects. Please check out her blog, and also both of her books. This is a post which deals with "Gun Free Zones" in which I am in complete agreement. fully self sufficient. 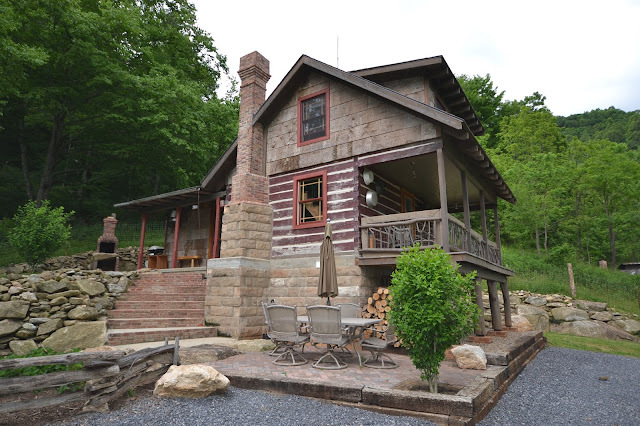 It comes with multiple homes for adult children or extended family and outbuildings. I have mentioned before that one of the hottest and most dynamic sectors in real estate right now is the "survival home" or "preparedness compound". Of course, almost anyone over time, can fashion an excellent family home which lends itself to preparedness. Buying an expensive prepper complex or survival home simply affords the purchaser a manner of more rapidly acquiring one that is more fully supplied or ready for immediate use. Such a home may potentially have more self sufficient heating, cooling, water and cooking systems. Such a home may also have been stocked in advance with supplies prior to the purchase itself. A lot of these homes list for between 1.2 and 3.3 million US dollars. However, because some of them are in secluded regions, some of the smaller homes, that still feature the larger acreage are simply a few hundred thousand US dollars. With the acreage, ponds and systems included, some of them really are an excellent buy. 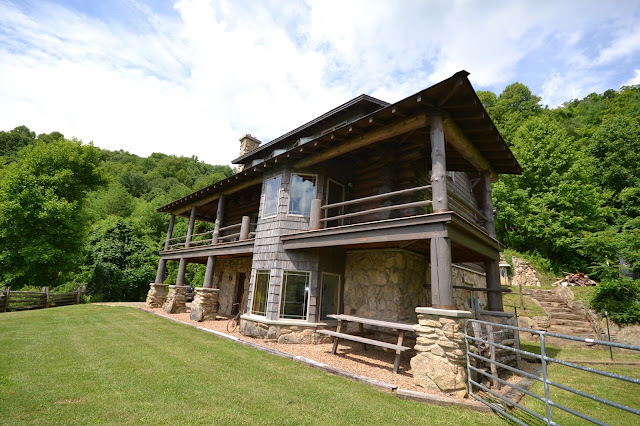 This is one of the additional homes which is included in "Three Bear Holler"
Having evolved to being a natural cynic, I always wish to know why people would invest in a large piece of secluded land, spend the money in such a labor of love only to place the compound up for sale a couple of years after completion. In the last five years or so, I have kept a tally of the reasons people were selling their defensible preparedness compounds. The most common reason for selling over all, was a serious health challenge. Building a home in a very secluded place takes your family away from major medical centers and from state-of-the-art or world class medical care. If someone in your household develops a serious illness or cancer, then many times, the choice to sell is made. The next most common reason for selling such a compound is that a spouse has died. Sometimes the spouse who has died was the one who knew all about the compounds special systems and its required maintenance. Other times, simply living there without the spouse fuels a desire to sell and move on to somewhere less isolated. Financial problems and divorce have also been reasons given for parting with a fully stocked survival home. 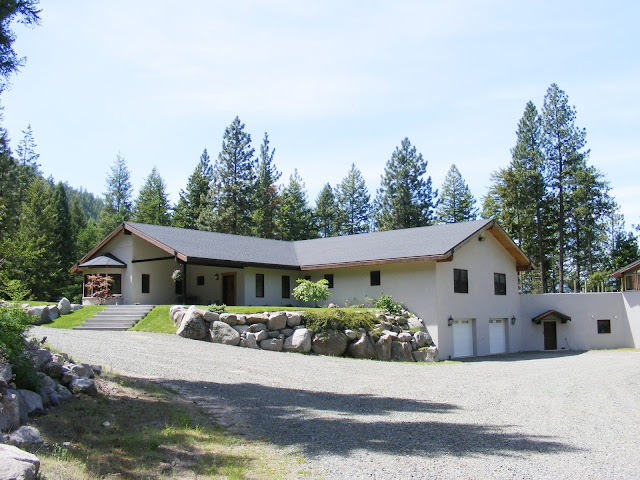 This is a home which is seven thousand square feet on just slightly less than sixty acres. It is located in Washington State and has a myriad of features including a creek. Lately, I have observed that an awful lot of people, in both the US and in foreign lands are selling their preparedness homes or preparedness farms. The reason given more frequently now is that many of the owners of the American prepper complexes are leaving the United States. This is particularly interesting. Why would they heavily invest in a particular region within the US and then change their minds, believing that another place could be safer or at least more beneficial to their families ? Before you invested hundreds of thousands of dollars in a particular property aimed at creating a long term survival home, would you not have explored everything from the health care, defensibility of the location, potential for natural disaster, tax rates, etc ? This is a Spanish style home built to American standard in Panama. It rests on twenty seven acres and the home is 4000 square feet. Is is solar powered with the exception of the washing machine which runs via generator. It has a greenhouse and a chicken coop. Sometimes, I suspect that a family who has created an excellent prepper property has simply completed the task over years and just has some ideas about how they might do some things differently. Perhaps selling and starting over again from scratch is simply a part of the prepper lifestyle, since so many of us descend from those who historically had the pioneer spirit. I have no financial or personal interests in the properties for sale which I chose to profile here today. Please do all the research you can and your due diligence prior to investing in any property whatsoever. All of the properties profiled were, in fact, available for sale when this post was written. Please realize that foreigners are not always permitted to own properties in foreign lands. It's best to do all of your research before visiting a nation for the purpose of acquiring real estate and certainly before committing to any transaction whatsoever. Of course, much smaller properties exist also, and are likely best found by establishing a business relationship with a realtor in your desired target area.